Join us at the Indigo Blue Directors' VIP Reception! Proceeds support performing arts for Durham youth! 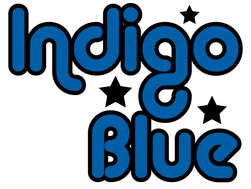 Thank you for supporting Indigo Blue and Walltown Children's Theatre! Walltown Children’s Theatre inspires positive social change by developing and reconnecting diverse, under-served youth in Walltown and the surrounding communities through exemplary performing arts programming, after-school academic tutoring and collaborative leadership opportunities.